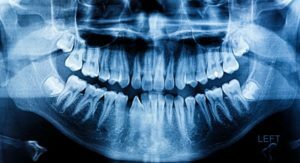 Wisdom teeth removal can take up to two weeks to recover from, but this can vary from patient to patient. The most important step to take during aftercare is to look after the wound as it’s healing. While the process is slow and gradual, you’ll notice the wound improving every day, assuming you don’t do anything to damage it. In the first 24 hours, a blood clot will form over the socket. After a few days, swelling in the mouth and cheeks will go down. Once a week has passed, you’ll come back for a follow-up appointment to have any stitches removed. After about two weeks, any stiffness or soreness in the jaw should disappear and any bruising that occurred will begin to heal. When you visit a sedation dentist for wisdom teeth extractions in Asheville, you can expect a significantly more comfortable surgery. One of the best forms of sedation for extractions is IV sedation. This lets your dentist administer sedatives directly into the bloodstream, allowing your dentist to make on-the-fly adjustments as necessary and ensure you’re relaxation levels during the treatment. While sedatives help patients relax and even forget many of the details of the surgery, you’ll want to schedule a ride back home. IV sedation is strong, so you’ll likely feel side effects even after the IV is removed. Take advantage of your dentist’s expertise in sedation dentistry. Schedule your extraction with him today! Dr. John White earned his Doctor of Dental Surgery degree from the University of North Carolina at Chapel Hill. During his residency program, he received extensive training in sedation dentistry, allowing him to offer patients a more comfortable experience during oral surgery. To learn more about his practice, contact him through his website.